The popular TV magazine program Turning Point International recently revealed it is set to visit Nigeria next Monday, August 1st, 2016. 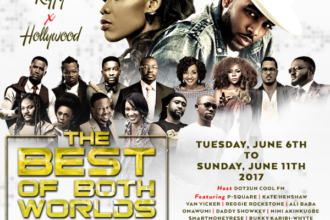 The show, which began production in 1997, is kicking off its 20th anniversary celebration in Nigeria. 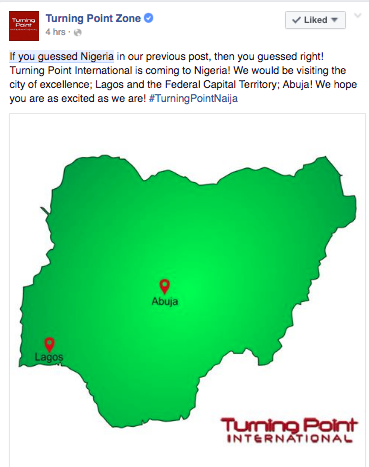 The announcement, which came as a post on its social media pages including Facebook, Twitter and Instagram, was accompanied with a picture of the Nigerian map indicating Lagos and Abuja as the next destinations. Turning Point International is scheduled to interview a number of industry big names in Nigeria, including veteran comedian Ali Baba, Pastor Paul Adefarasin, celebrity photographer TY Bello, the former first lady of Lagos state Mrs. Abimbola Fashola and a host of others. Turning Point International is known for accentuating the voices of the African people through thought-provoking interviews, real life docudramas, insightful features and inspirational music. The program is hosted by Nigerian-British presenter and award-winning gospel artist Muyiwa Olarewaju. 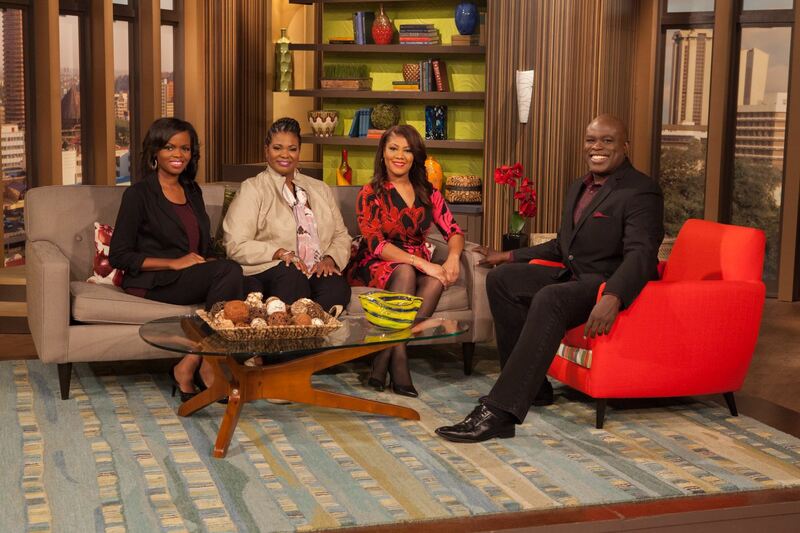 The TV program airs weekly in several African countries including South Africa, Kenya and Nigeria as well as throughout the Caribbean and Europe.